Bio: Jerry and Ginger Dallin, aka: The Songmasters, have been blessing Minnesota and the country with their music for over 50 years! They are known as the longest continuously singing southern gospel group in the Midwest. Jerry grew up in Robbinsdale, Minnesota, while Ginger was born and grew up in Grand Marais, her dad being a Lake Superior commercial fisherman. The couple met in 1959 at Soul’s Harbor in Minneapolis and launched their musical career, appearing weekly on that telecast for 15 years. 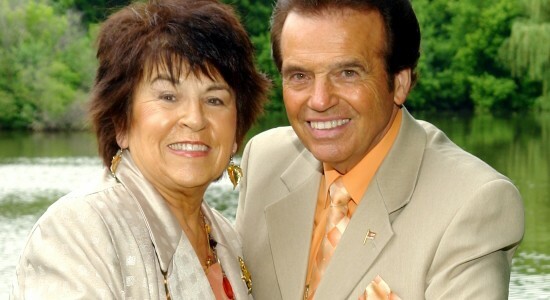 They married in 1965 (and now have two married daughters and six grandchildren) and have traveled extensively, singing the praises of God in churches, crusades, rallies, banquets, schools, county fairs, and TV appearances. They have received recognition in several publications, won national acclaim on the front page of the Wall Street Journal, and have recorded 31 albums. Jerry and Ginger hosted the Southern Gospel concerts of the North Heights Concert Series for several years, including a New Year’s Eve Extravaganza, bringing in the top southern gospel groups in the nation several times a year. The Songmaster have been presented a letter of commendation from the President of the United States, George W. Bush, as well as a proclamation from the Governor of Minnesota, Tim Pawlenty. Both documents recognize their 50 years in Gospel Music. It is Jerry and Ginger’s desire to present to you a refreshing concert of variety and blessing, and to proclaim the Good News of the Gospel of Jesus Christ!